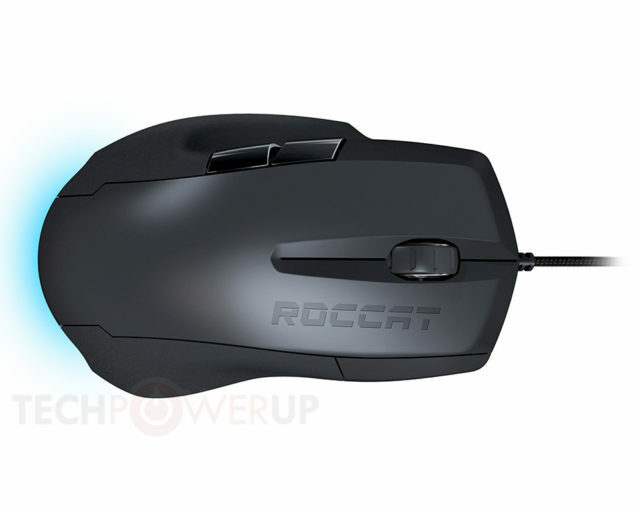 ROCCAT today announced the availability of their latest product; the gaming Savu gaming mouse that features a 4000 DPI sensor with customizable lighting colors of up to 16.8 million choices! The mouse is one of the first in the world to feature a stats and trophy system that is better referred at ROCCAT as the ROCCAT Achievements Display or R.A.D for short. The mouse is being marketed as a mid size gaming mice that offers interchangeable sensor speeds for 400, 800, 1600 and 4000 DPI respectively with its R3 sensor. The mouse is set to retail for $59.99. Check out the press release after the break. ROCCAT Studios today announces the release of the Savu – Mid-Size Hybrid Gaming Mouse – a competition device that “fusion welds” an ideal blend of performance and customizable features into a robust, perfectly-balanced, medium-size design. The Savu offers a combination of unprecedented true 4000 DPI optical sensor horsepower, world famous Easy-Shift[+] technology allowing for advanced button configuration, and a customizable lighting system delivering 16.8 million colors. What’s more, it’s the world’s first mouse to feature a stats and trophy system – called the ROCCAT Achievements Display, or R.A.D. – something previously known in similar form only in online gaming. Designed specifically for fans of mid-size gaming mice, the Savu also pampers the hands with an ergonomic right-hand thumb rest and soft-touch surface. With its advanced Pro Optic sensor, the Savu delivers true 400, 800, 1600 and 4000 DPI – placing it at the pinnacle of optical gaming mice. The latest R3 sensor also delivers lag-free gaming without any interpolation, and provides ultra-precise feedback during even the fastest movements – all so players can command with the utmost accuracy. The Savu comes standard with exclusive Easy-Shift[+] technology, which lets gamers set two functions for each mouse button and the scroll wheel, essentially transforming a seven-button mouse into a 12-button one without the clutter of unnecessary additional buttons. Easy-Shift[+] also lets gamers take advantage of Easy-Aim, which automatically reduces DPI setting when in sniper mode – delivering pinpoint accuracy at the touch of a button. And thanks to advanced Omron switches, the Savu’s two main buttons feature the most consistent and precise pressure points – for ultra-accurate command capability – as well as the highest durability for the longest possible gaming life. The Savu features a large, customizable rear light bar, which users can set in their choice of 16.8 million colors – to add to the atmosphere of gaming sessions. Players can also activate a color cycling feature, as well as a “breathing” function, which instructs the mouse to pulse in a choice of color. The Savu also marks the debut of the ROCCAT Achievements Display – or R.A.D. – a fun and useful application that tracks and rewards a wide range of gaming feats, such as mouse movement, button clicks, scroll steps, etc. The driver-based software compiles user data, provides a range of statistics for analysis, and hands out trophies when exceptional milestones have been reached. It’s an entertaining way for gamers to keep track of their mouse skills – and it even lets players share their accomplishments with others via social network sites, like Facebook. Hamburg-based ROCCAT Studios says the Savu severely outperforms every gaming mouse in its class and is sure to set a new standard in the mid-size field. The Savu will be available around the globe for a MSRP of 59.99 Euros or 59.99 USD.